Nestled in the middle of South Yarra’s busy Toorak Road lays a wine enthusiast’s haven. Grand Millesime is a French wine specialist. Darren Harris, Wine buyer and Managing Director has a wealth of over 25 years experience in this industry. 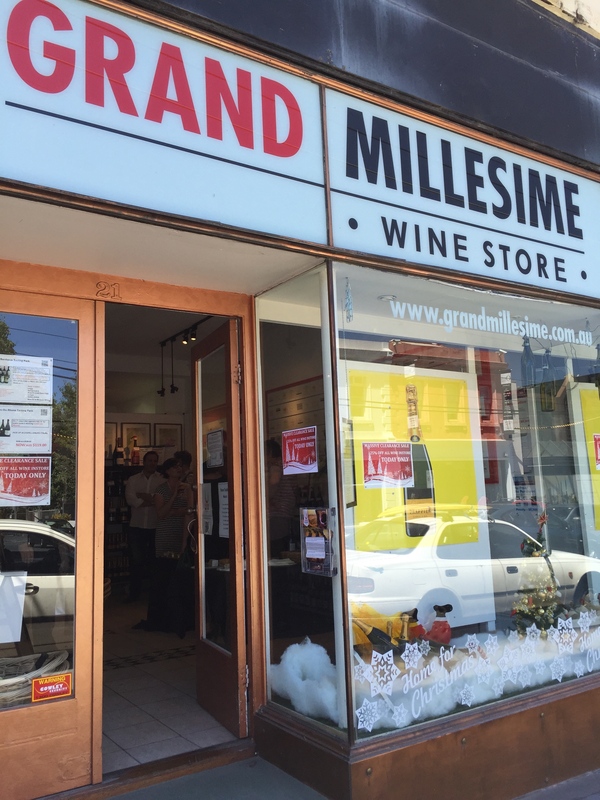 In December 2014 Grand Millesime threw open their doors welcoming their clients with a glass or two of festive cheer. I particularly liked the Drappier champagne that was showcased, having experienced it once before whilst Darren did a talk for L’Order Mondial at Woodland House. Drappier is a very old champagne house dating back to 1808 with cellars built in 1100s by the Cistercians of Clairvaux Abbey. The vineyards are cultivated according to organic and natural principles. President de Gaulle was a huge fan of their champagnes, so much so they named one of their cuvees after him. For this special day Darren partnered with Friend & Burrell – suppliers and retail of fine food. Bryan Burrell was on hand to explain the rationale of what makes a great meal. He showcased wonderful top quality salty Joselito Iberico Jamon and an array of Trikalinos Grey Mullet roe from Greece. It has been said that “ Trikalinos name is to Greek roe what Petrossian is to Russian caviar. “ and what a wonderful alternative. 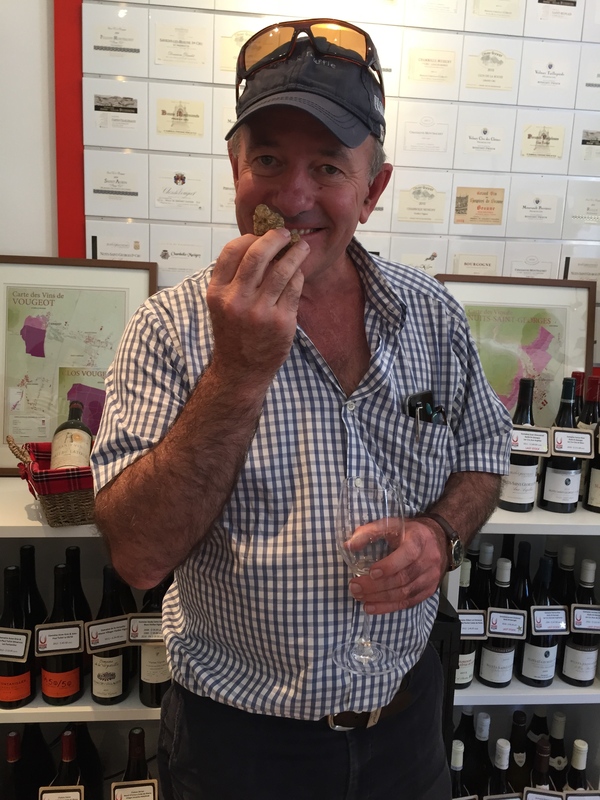 Bryan also showed white truffles, which were far more delicate than their black counterparts and a wonderful inclusion to your very special fine dining forays. My husband being a Riesling lover enjoyed the variety of wines from the Alsace, settling upon the 2010 Domaine Loew Bruderbach Clos des Frères. 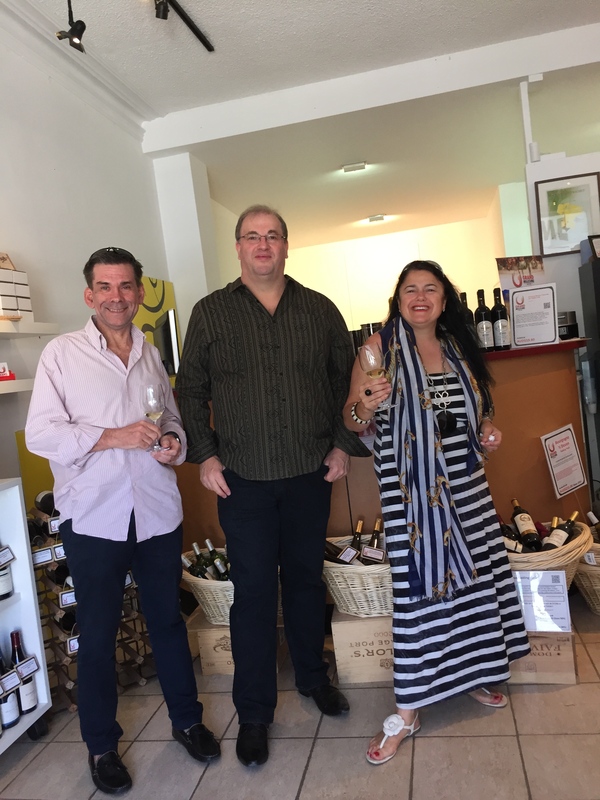 Whether you are interested in wines purely for consumption over the festive period or to stock your cellar there is something for everyone. Thank you Saul. Too kind. I do hope you are continuing to enjoy my blog.